Braising or searing meats before making a stew in the same pot keeps kitchen messes to a minimum. Thankfully, the 7 1/4 qt. round French oven, or Dutch oven, is up to the task. The spacious interior accommodates larger ingredients and holds enough servings for a crowd. And cleaning is quick, with an interior enamel that easily releases burnt-on ingredients. This updated kitchen classic enhances the cooking process by evenly distributing heat and locking in the optimal amount of moisture. 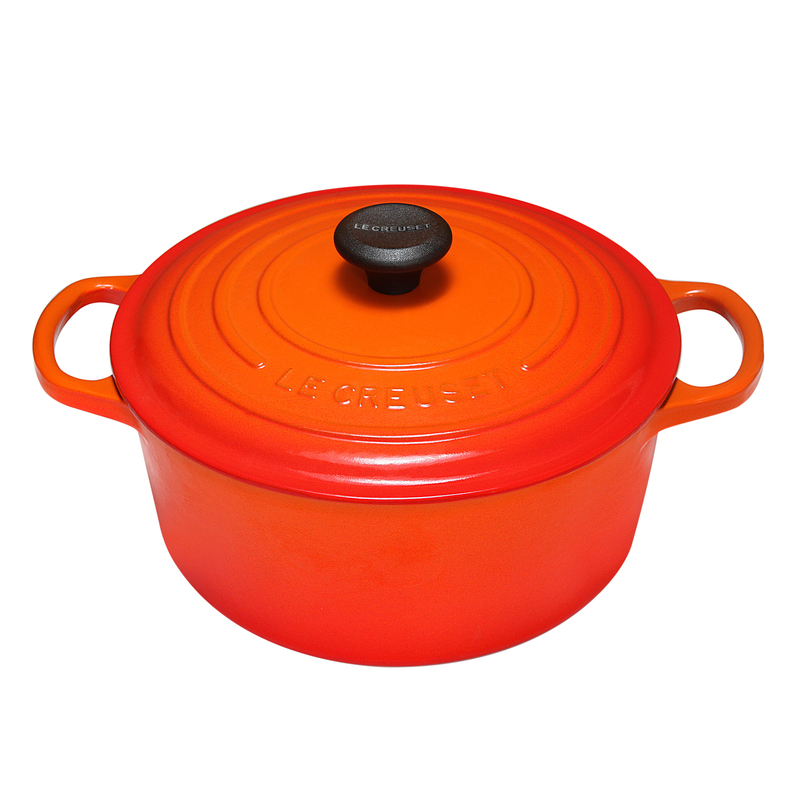 With ergonomic handles and an advanced interior enamel that resists chipping and cleans easily, Le Creuset's French ovens blend the best of the past with the latest innovations in comfort and functionality.